Google Apps Banned from Public Office in Sweden for Privacy Concerns. Norwegian government has called Google Analytics illegal under the laws of the country. 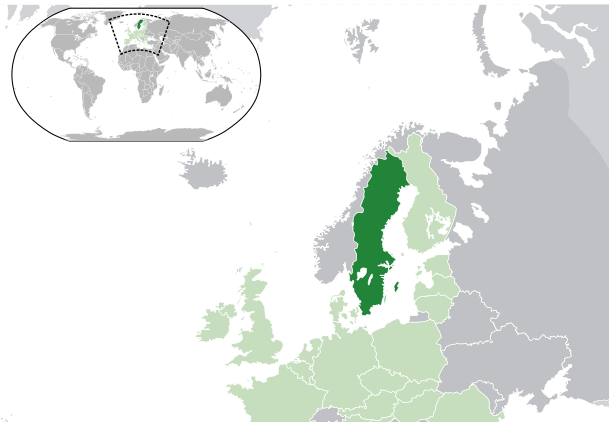 This article is written in a neutral tone, this is an informative article only to to keep the readers updated about the Government decisions from a part of the World, particularly Sweden. It is not to be taken that, we are promoting or wanting that Google Apps banned from other countries; definitely it is user who thoughtfully, judgmentally take the decision of usage of any product. All the information published in this article named Google Apps Banned from Public Office in Sweden for Privacy Concerns are from official news publicly availble. Recent decisions has been taken by the Norwegian government and the Swedish Data Inspection Board (the authority for the protection of Swedish data) to classify some Google products as illegal under the aspect of data protection. So, while the Norwegian government has called Google Analytics illegal under the laws of the country, even the knife in the sinking privacy issue, the Swedish decision prohibit the use of Google Apps to all public institutions, from local ones to national structures. The ban was immediately put in place by the different authorities and these decisions has shot Mountain View that probably not expected. The problems encountered by both nations relate to the lack of clarity in the contract and the consequent lack of assurance that Google operates on the conditions of proper storage of data and the timing of disposal thereof to contract, allowing Mountain View a retention of unlimited, non- authorized and unconsciously collected data for the contract. Sweden also adds to these assessments shared a concern about too much discretion made ? ?by the search engine giant on the use of data. According to the Swedish authorities, to the subscribers of Google services, it is not known whether these data and the information stored in its products which their partners, companies or other entities can transfer in between. The decision also seems to be the daughter of the policy change made ? ?by Google, which has unified all its services and therefore all the data stored in them, allowing its employees, as well as to third-party developers to access them, consult them and to cross check them at will. These decisions could shatter the confidence of Europe against Google, more so that the same measures are now being studied by other regulatory bodies in Europe. India™s ISP Association wants Google, Facebook to setup local servers. Google India Private Limited definitely has a big market in this newly industrialized country where GDP (PPP) is quite higher. From the projected financial calculations, India definitely will be among a major in global economics in next one decade, in fact within 2020. All these Post PRISM decisions and global public awareness and faster propagation of news by Media, Non Profit Influential Organizations definitely will retard the net growth of Google’s business for the next one year or more. In software business, the downfall or reaching the zenith can take place very fast and is unpredictable for the long run. This Article Has Been Shared 6091 Times! Price War in the cloud is in practical World is Rackspace Versus Amazon as infrastructure provider or rather Open Source versus closed source. Let us look deep. OwnCloud adds API on community edition for easier integration for the developers to create web applications and mobile applications in easier way. Cite this article as: Abhishek Ghosh, "Google Apps Banned from Public Office in Sweden for Privacy Concerns," in The Customize Windows, June 16, 2013, April 19, 2019, https://thecustomizewindows.com/2013/06/google-apps-banned-from-public-office-in-sweden-for-privacy-concerns/.